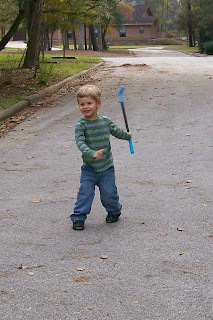 We have had some great fall weather recently, which we have enjoyed by spending lots of time outdoors. 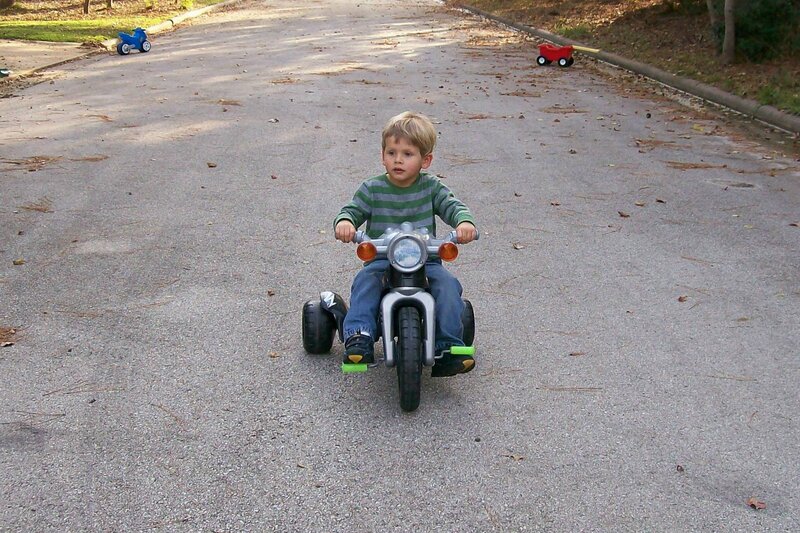 Here are a few pictures of Dawson playing outside the other day. 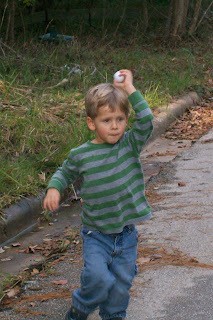 Poised to throw the golf ball. Dawson loves throwing the golf ball because it bounces so far. Then he'll run after it and throw it again, over and over again. 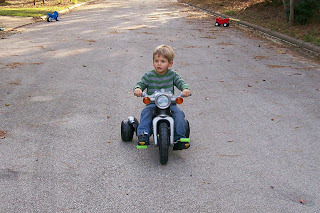 Dawson recently learned to pedal his motorcycle all on his own, something we're all very excited about. 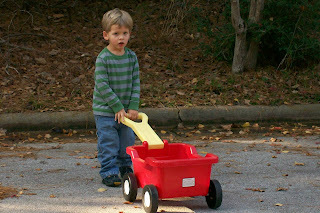 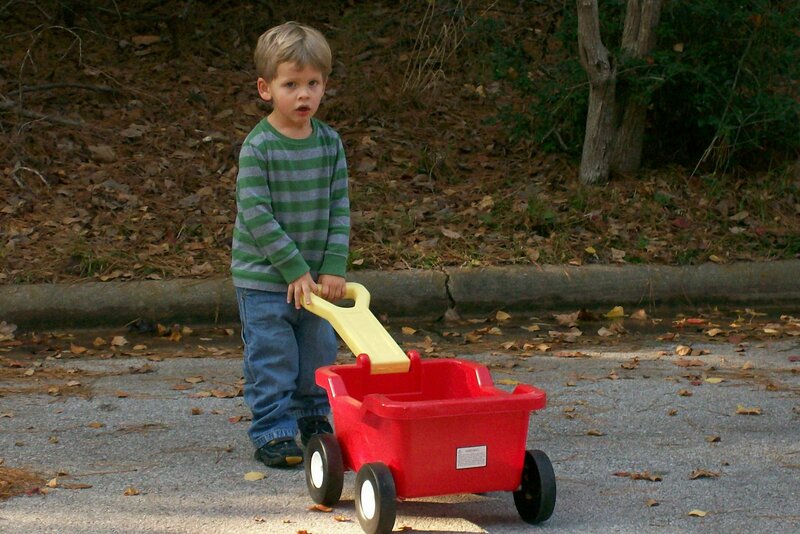 Pulling his wagon and searching for treasures to put inside. 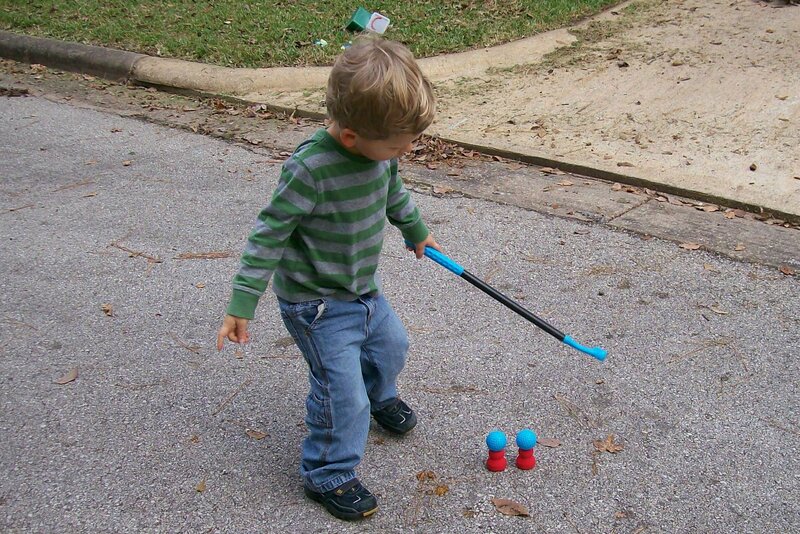 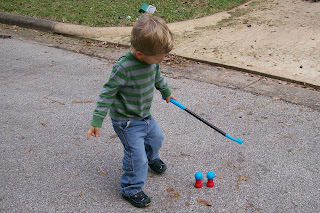 One of his favorite activities - hitting the golf balls.